Thinking about selling your home this fall? Start now and get ahead before the holidays roll around. We all want a house that feels like home, and fall is the perfect time to bring the cozy elements to life. Take advantage of this fall season and get your house ready to sell. Here are our favorite staging tips to get your home sold fast this fall. Potential buyers want to be able to envision themselves in your home, which is why it’s important to get rid of any personal trinkets sitting around. 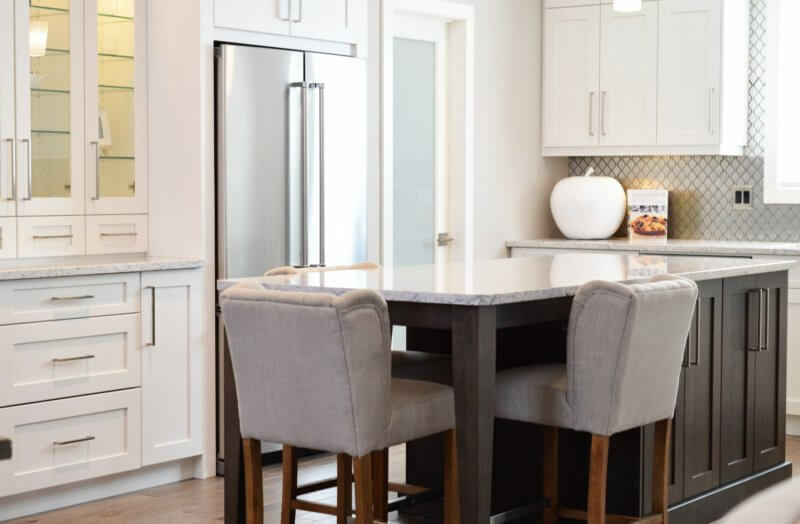 A tidy and well-kept home not only helps buyers envision themselves living there, but it also reflects positively on the home and you as a homeowner, showing that your house has been taken care of and well-maintained. The days are getting shorter and the nights are getting longer, making natural light key to your home staging. An easy way to ensure your home feels warm and bright is to simply open up blinds and curtains,r making use of your home’s natural lighting. For additional light, utilize lamps and candles throughout your home to add a warm glow. Take advantage of this cozy time of year by decorating your home to reflect this season. Change your home’s accents from summertime decor to warm-toned accessories. Add throw blankets and soft pillows throughout your home to give your spaces that extra cozy feel. Stage end tables or coffee tables with a set of books or a decorated mug. This will be sure make buyers feel right at home. Used sparingly, candles are a great addition when staging a home, especially in the fall. Up the coziness of your home by adding a few around the house, in spaces such as the living room and master bedroom. Pro Tip: Yankee Candles are a great choice when choosing candles to add. Stick with seasonal scents such as cinnamon, apple, vanilla and cedarwood. These scents are sure to be a hit at your next showing. If your home has a fireplace, now is a great time to utilize it. Fireplaces are fantastic features to homes that are often overlooked. The fall is the ideal time to showcase the fireplaces throughout your house. A lit fireplace adds a certain warmth and comforting feel to your home while also giving your space a natural glow. Arrange the furniture in your space towards the fireplace, making your fireplace the focal point of the room. 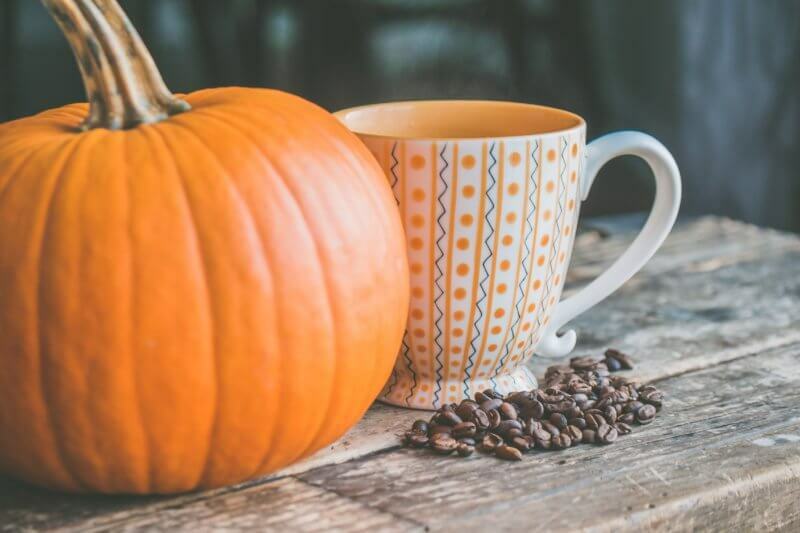 While we all love Halloween and Thanksgiving, fall time doesn’t always mean that people want to see your old scarecrow sitting out in the front yard or that hand painted turkey that your child put on the fridge. Use holiday decor sparingly and look for just a few accents that can be placed throughout your house. An easy way to up your fall festivity without going overboard is to add a seasonal wreath to your front door. No matter what time of the year you stage your home, curb appeal is essential in grabbing the attention of potential buyers. Take advantage of the fall by adding seasonal plants and fall-colored flowers to accentuate your yard. Pro Tip: Chrysanthemums, Montauk daisies and Goldenrods are all festive flowers that bloom fantastic fall-toned colors. Fall is truly the perfect time to highlight the comfort and style of your home through staging. By using these simple tips and tricks, you’ll be well on your way to selling your home in no time.